A shift dress is all you need to look trendy without hassle this summer! 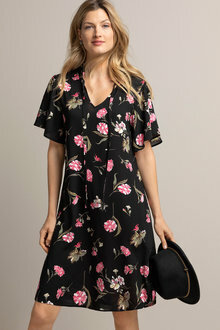 With a range of beautiful prints and colourful designs, our shift dresses are the most versatile of women's dresses, meaning you'll find something for just about any occasion. 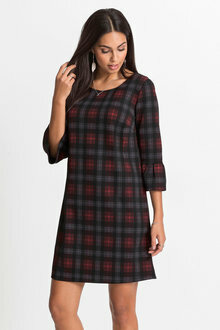 The shift dress is the trendy choice for the office, dinner party or formal event. The straight up-and-down cut makes it the perfect style on any figure. Flattering but comfortable, you can't go wrong with a shift dress. 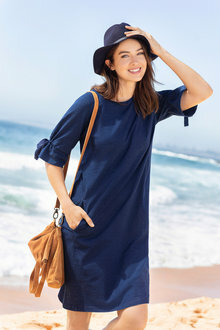 Whether you're after a plus size dress for casual wear or a formal shift dress for a more snazzy do, there's no dress more simple yet more perfect than a shift dress. For something mature yet elegant, opt for a swing dress. 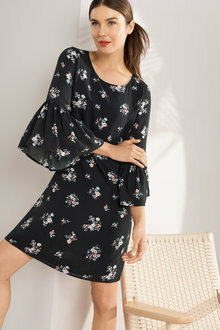 Or if you're looking for something a little more youthful, choose a dress with ruffle hems. Keep your ensemble simple or jazz it up with a pair of heels and some well-placed jewellery. Simple colours, eye-catching prints, or delicate embroidery … Whatever style you're looking for in a shift dress, you'll find at EziBuy. Shop our range of shift dresses online today!